ID4Africa has announced the appointment of Ambassadors from 29 countries for 2018. The 2018 Ambassadors represent an increase of seven over 2017, and their countries make up more than 75 percent of sub-Saharan Africa by population, according to the announcement. 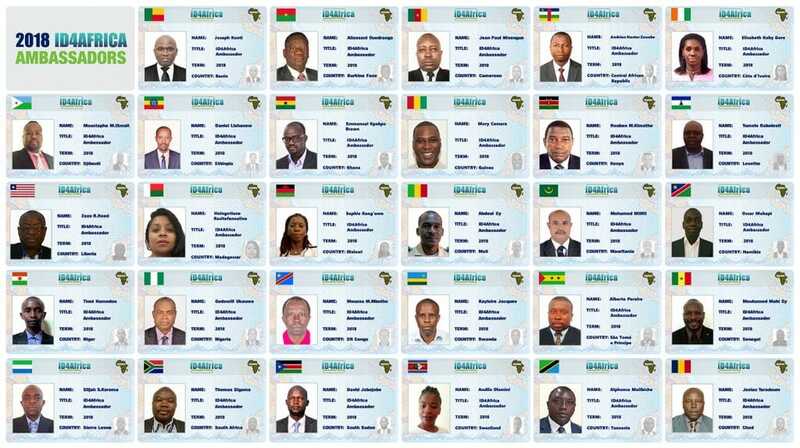 The Ambassadors are senior-level government officials with well-defined missions to promote and manage legal identity in their countries. ID4Africa is billed as a grass-roots, multi-stakeholder movement in support of the effective and responsible adoption of digital identity systems throughout Africa to empower citizens and facilitate governance, democracy, and the provision of services. Ambassadors serve one-year terms, renewable for up to four years. There are 14 returning Ambassadors from 2017. Countries with Ambassadors appointed for the first time include Benin, Central African Republic, Guinée, and Tanzania. Biometric Update is the “Official Journalist” for ID4Africa 2018, which will take place from April 24 to 26, in Abuja, Nigeria. As previously reported, ID4Africa joined the Secure Identity Alliance as an Advisory Observer in November.